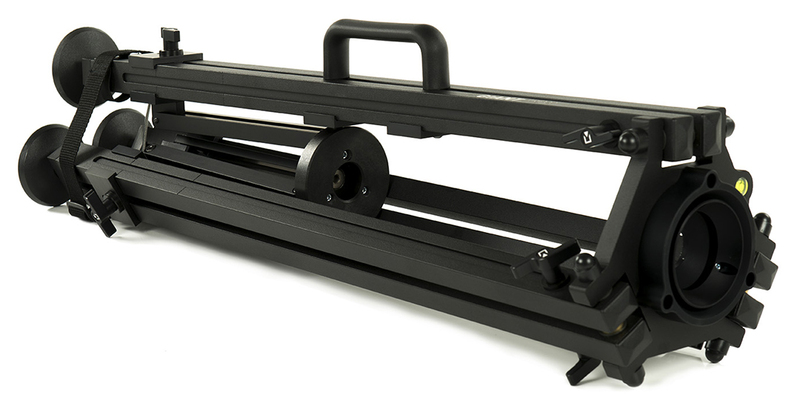 Extremely fast, rigid, stable and reliable Slidekamera GIANT TRIPOD ideal for indoor and outdoor applications (safety payload: 80kg) Specially designed construction allows to stabilize camera cranes, sliders, video heads and other devices. All components of the tripod are made with high precision, what ensures high rigidity of the device. 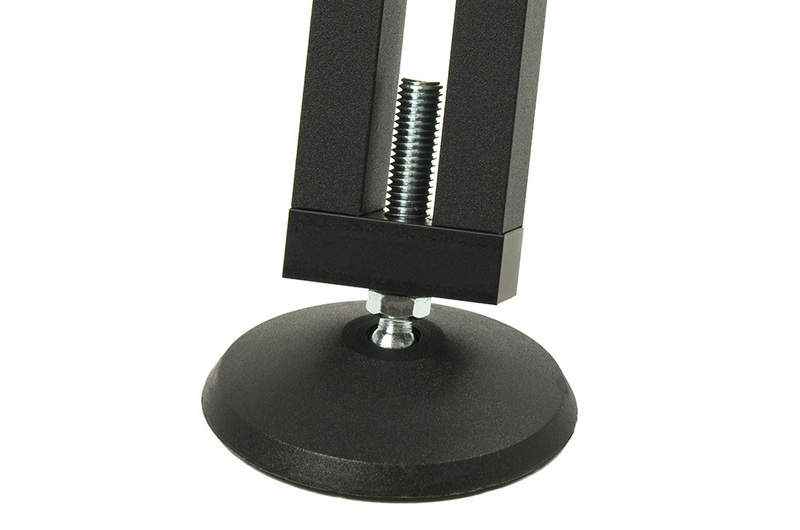 3/8" universal mount that facilitates quick mounting of camera cranes, sliders and other devices on tripods equipped with sockets that fit half balls up to 100mm..
Tripod comes with a bubble level and aluminum crown with 75mm, 100mm, 75/100mm or 150mm Bowl (one to choose from). Slidekamera GIANT TRIPOD can be used with different types of video heads thanks to replaceable Slidekamera aluminum HCZ Bowls matching systems however on client's request, we are able to provide a bowl for any type of video head. 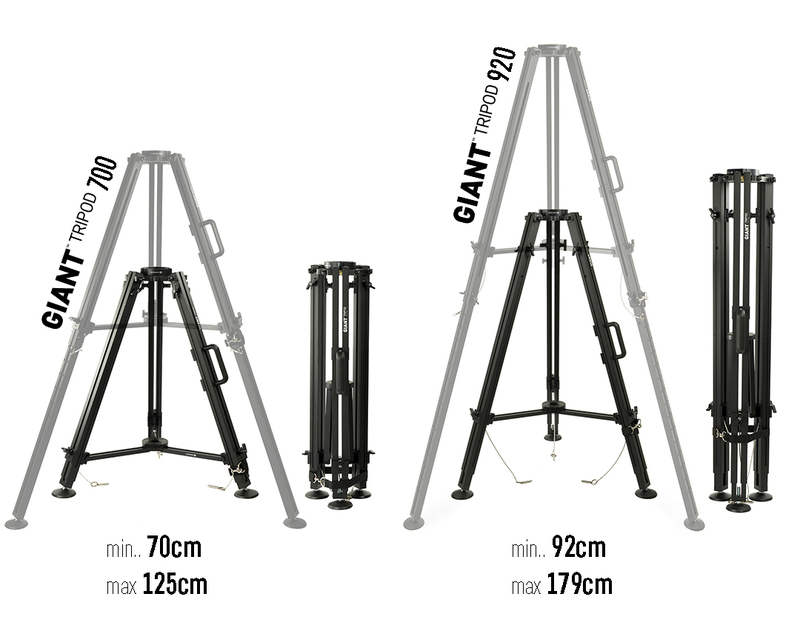 Double construction of three extendable the arms (single telescope) provide rigidity and stability of tripod. 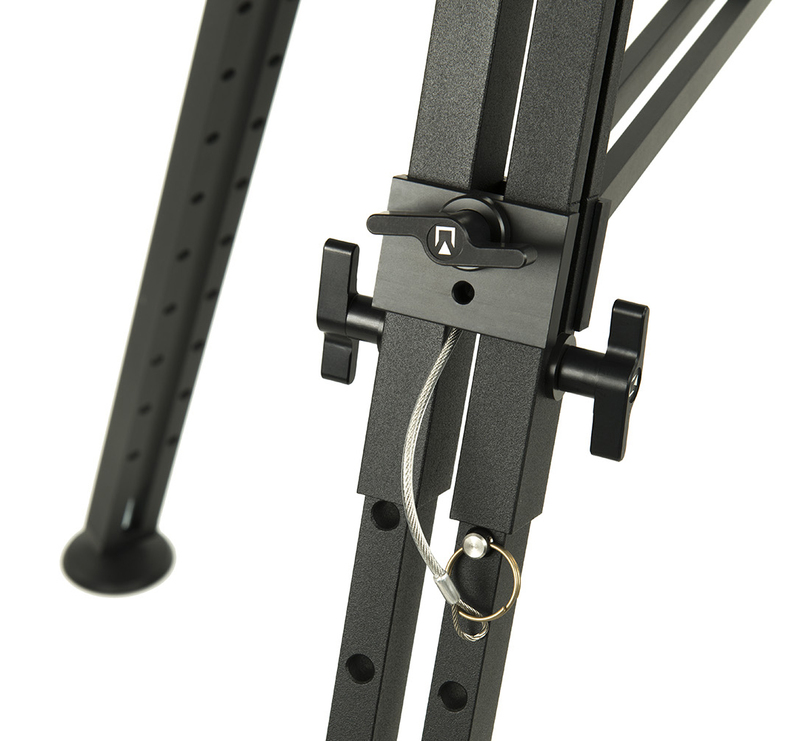 Each arm has two big clamping knobs that allow for easy and stable adjustment of tripod's height as well secure arms against uncontrolled folding. Steel locking bolts ensure safety especially at high loads. 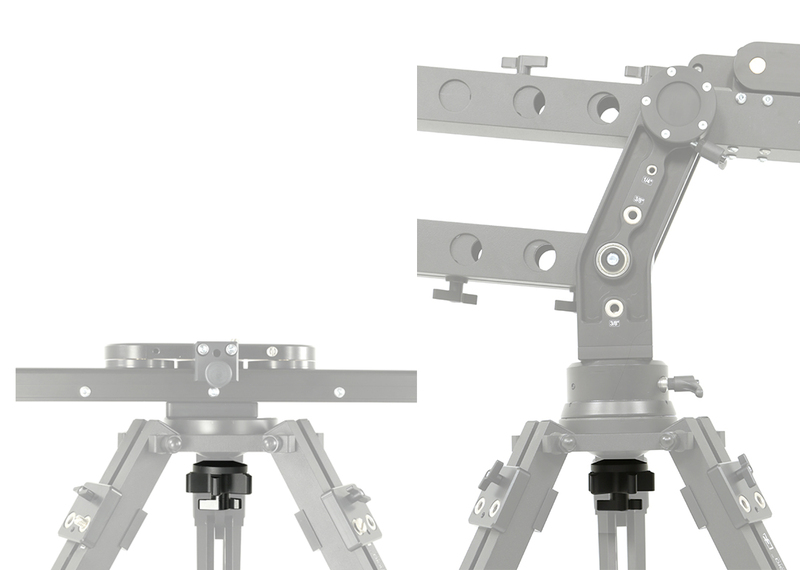 Aluminium legs of the tripod are equipped with self-aligning feet that allow to set and stabilise the tripod on uneven ground. Slidekamera GIANT TRIPOD tripod has a slidable spreader equipped with three locking knobs that help to set legs of the tripod accurately. 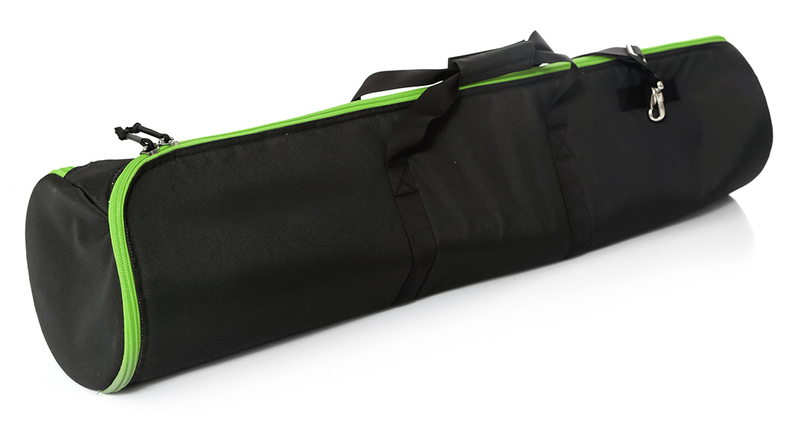 Slidekamera GIANT TRIPOD tripod comes with fastening clamp in the set, that secures the legs during transport. 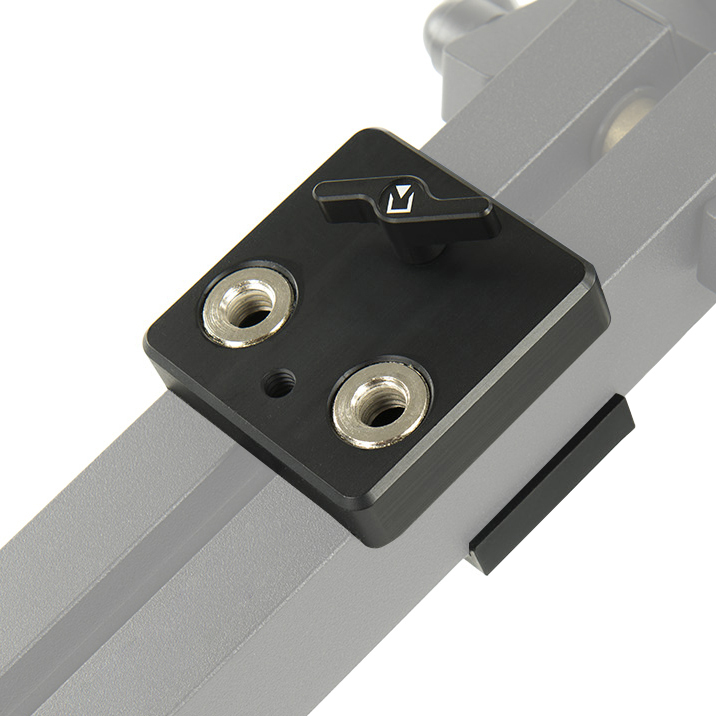 Adjustable AF-24 adapter allows to mount additional photo-video accessories equipped with 1/4" or 3/8" thread on GIANT TRIPOD this increasing the functionality of our tripod. Tripod socket: Tripod comes with a bubble level and aluminum crown with 75mm, 100mm, 75/100mm or 150mm socket (one to choose from).